Its not the heaviest one I have made, but it is rather heavy. Fits me nicely and I have worn it for a few hours, but was glad to take it off. How about a hover bike ala Star Wars? 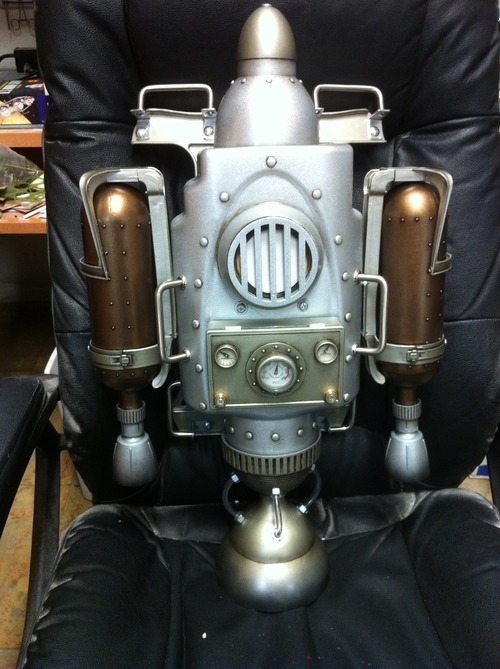 And the best part is - it's steam powered! 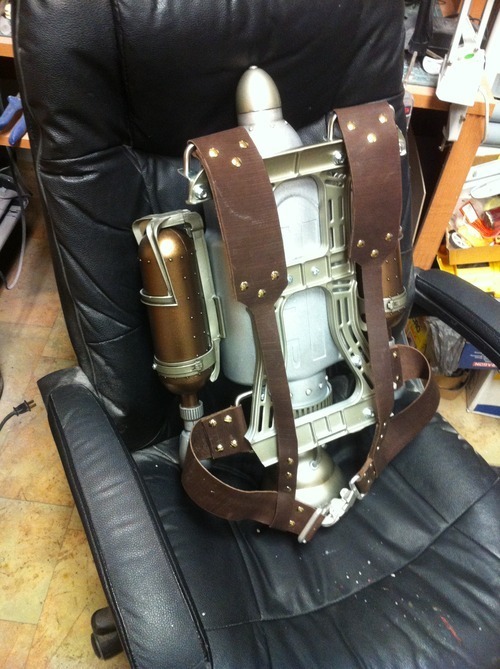 I'd like to see a steampunk take on this; not a rocket pack; a rotor pack. That is a great idea. I am going to have to keep that in mind for a future build. Thanks. 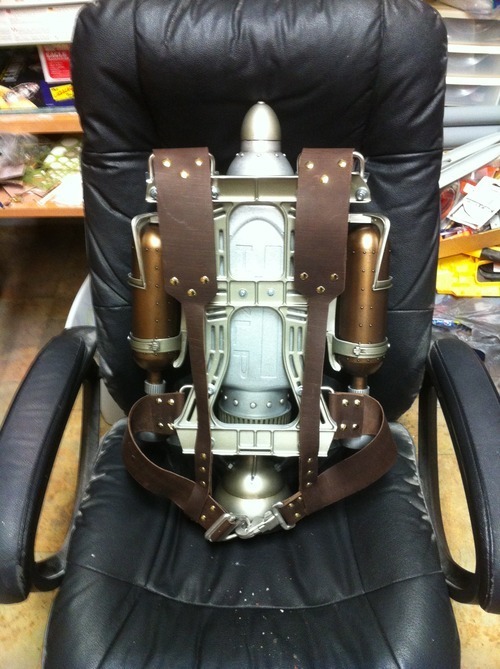 The Rocket Pack Collective now in the Armoury section. I guess it is fight of flight. A spelling question. The spell check like Armoury, but Google likes Armory. I assume that is British English for American English? 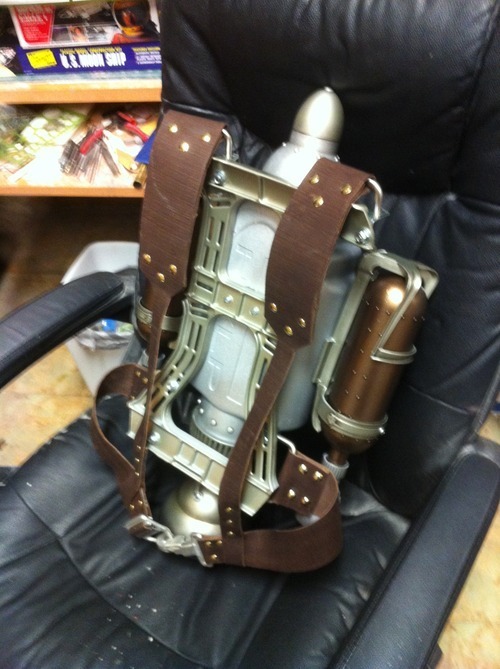 So Why exactly is the rocket pack collective in the armoury? 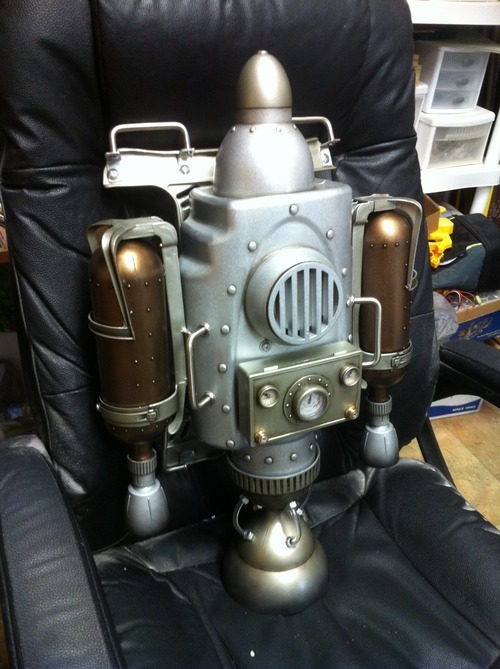 This is a topic for people who have built or are interested in building a rocket pack, and by association the technology of rocket packs, and modern examples of similar devices. As such, surely this topic belongs in tactile. Rocket packs are not weapons, Rocket packs are a method of transport that avoids all that unnecessary fiddling about with wheels or horses and other associated foolishness. Just because the title contains the word rocket, there is no reason to suppose that this topic has anything to do with weaponry. Admittedly the damned things do occasionally explode, but this is entirely down to a minor miscalculation of the air fuel mix, not to any militaristic intent. 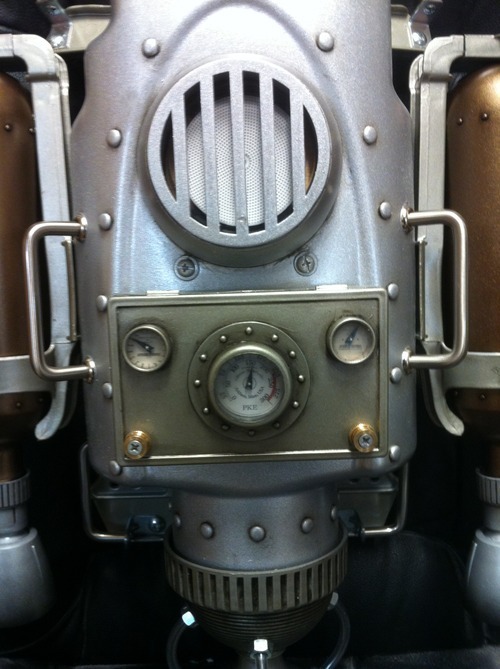 As far as I am aware, none of the Rocket packs created by the collective have ever been weaponised, or even fitted with mounted weaponry. Admittedly it is possible to carry a firearm whilst using a rocket pack, but by that logic any topics about bicycles should be posted in the armoury because it is theoretically possible to fire a gun whilst riding a velocipede. So, to conclude my rant. Will someone please tell me why this topic has been moved to the armoury? They gave it to me because I missed the staff meeting where they decided where to put it. 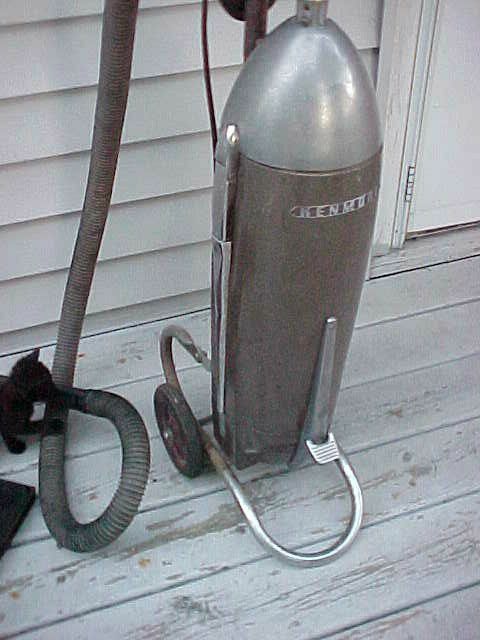 At work today I came across an old Kenmore vacuum cleaner... It's going to be scrapped soon since it don't work. I'm going to talk to my boss after the holiday about laying hands on it. It'll make for a damn nice pack, assuming I'm able to get it. That's a link to the style of it. Any ideas on how to make it really epic win? Nice find. Start by removing any of the insides to cut weight. Add a few nozzles. Brass vases work nicely. Add a backpack. And you'll have a great start. Was planning on trying to mod the frame of that'n, add some leather strapping to hold it on. Going to take the tubes off the top, leave the open hole so it's got kind of a "ramjet" feel to it. 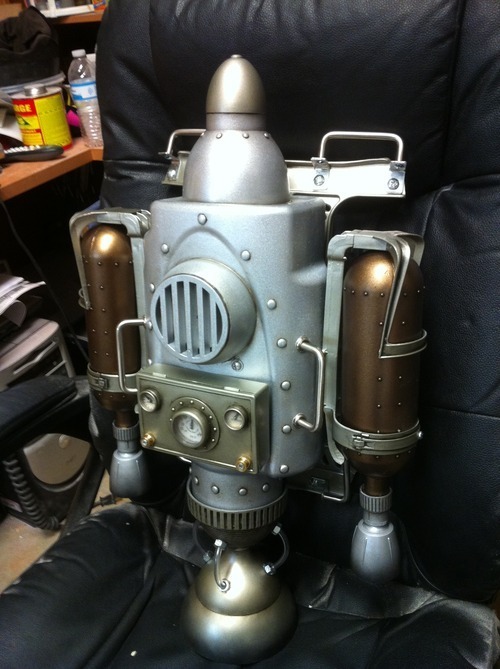 The concept I'm working on is like shock troops that drop from airships into battle. He is shooting with wet plate photographic techniques. You would think the kid would look happier. Not only is he going to fly, but he has one of your packs on!! I know I was happy to try one on! It was very heavy. Probably my heaviest pack, but it is the one he wanted. Those are very nice. 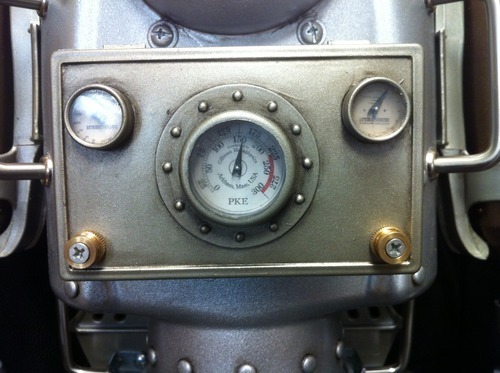 I like the use of pneumatics for operation. 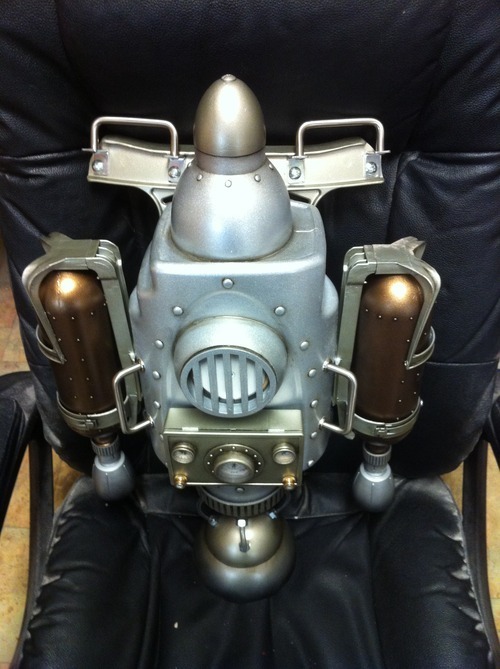 Here''s a rocket pack I did a couple of years ago. Very nice. Welcome to the collective. Merci beaucoup pour les infos,ils sont trop sympa ces images..